With 1.8 million visitors every year, Chester Zoo is the UK’s number one zoo, and these Chester Zoo and hotel packages provide a wonderful short break for the whole family. With 1.8 million visitors every year, Chester Zoo is now the UK’s number one zoo with a TripAdvisor rating of 4.5 based on over 10,000 reviews and these amazing value Chester Zoo packages provide a wonderful short break for the whole family. After exploring on foot discover the Islands from a different perspective on the Lazy River Boat Trip or get a wonderful view of the animals and habitats with a ride on the Zoofari Monorail*. Youngsters will also find a number of play areas within the zoo including the amazing Treetop Challenge adventure for 2 to 7 year olds where they can swing, leap and climb safely in a harness. It is the first course in the UK with two mini zip lines, great fun. With over 125 acres of zoo to explore containing more than 20,000 wild and wonderful animals and 500 different species there is so much to see and do. 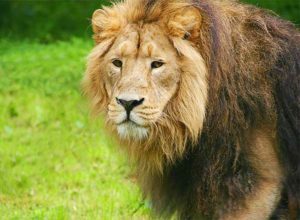 These Chester Zoo package deals include an overnight stay at your choice of hotel and additional nights can be added if you wish to create a longer break. Once you have selected the date of your Chester Zoo visit you will be able to choose your accommodation from the list of hotels that have availability for your travel dates, many offering excellent children’s rates. Lead in price of £40 per person was for a visit to Chester Zoo on 20 October 2019 staying for 1 night at the Hallmark Hotel Sefton (TripAdvisor Rating 4) based on 2 adults sharing. Prices shown are for guidance only and were available at the last update. Actual price will vary depending on travel dates, time of booking, hotel and duration of your break. *Additional charge for Zoofari Monorail.